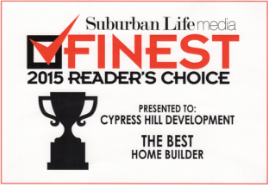 Based in Downers Grove, Cypress Hill Development has been servicing satisfied clients in Chicago’s western suburbs for more than 15 years. If for any reason you have any questions or comments about a home builder in Oak Brook, feel free to give us a call at 630-241-9330 or fill out the form to the right and a representative will respond shortly. Our years of collective experience and expertise as a custom home builder for Oak Brook ensures you have a knowledgeable, personal guide all the way through the home design and build process. As your custom home builder for Oak Brook partner, we work closely with you on creating floor plans, architectural styles, finish selections and other unique touches to make your home truly yours. Our expertise as a home builder for Oak Brook will aid in the design and build process of your new dream home. Cypress Hill Development stands behind every home we build with a full one-year warranty, and we pride ourselves on being both creative and responsive to your needs. Cypress Hill Development also prides itself on being a home builder for Oak Brook that uses recycled or synthetic materials that are eco-friendly manufactured having a smaller footprint on the environment. 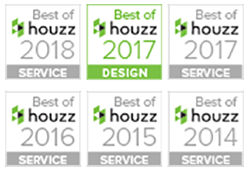 Our home builder services for Oak Brook are more cost effective compared to our competitors and ensure you will get exactly what you were looking for. If for any reason you have any questions or comments about a custom home builder for Oak Brook, feel free to fill out the form to the right and an associate will respond shortly or give us a call at 630-241-9330.